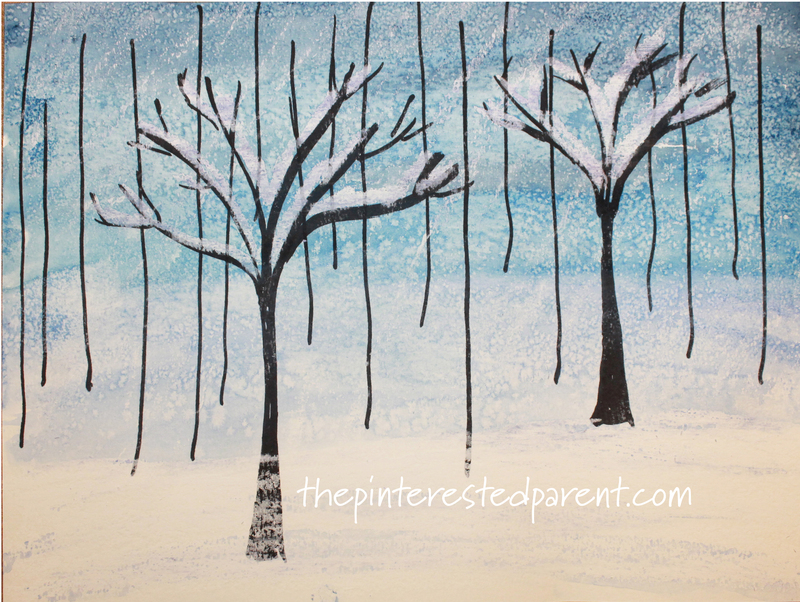 Draw 2 or 3 bare trees using a Sharpie. These will be focal trees in your painting. Draw straight lines of varying lengths and positions around and behind your trees. Use an oil pastel to draw a wavy line along the bottom 1/3 of the page. Color in the bottom with the pastel. 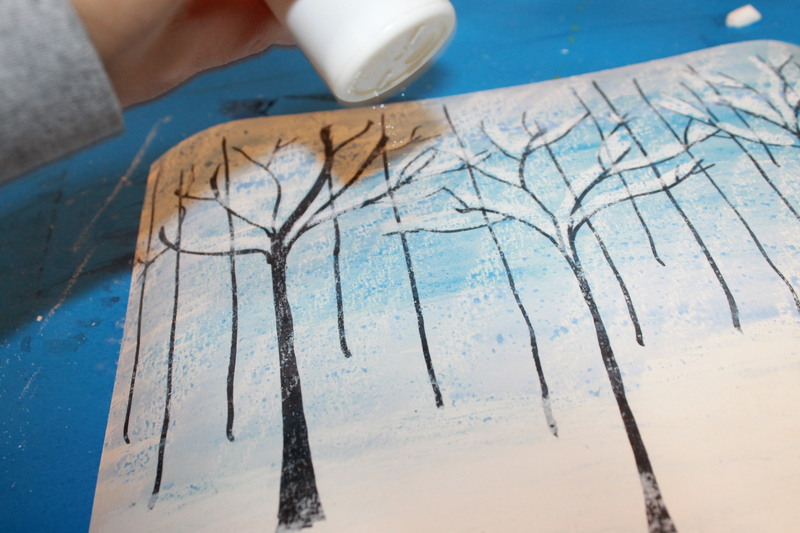 Outline the tops of the main trees with the pastel so that it looks like fallen snow on the branches. Add snow by making small dots around the page or lightly rub the side of the pastel vertically or at an angle up and down the page. Paint over your whole picture with watercolors in the color or colors that you choose for your wintery sky. 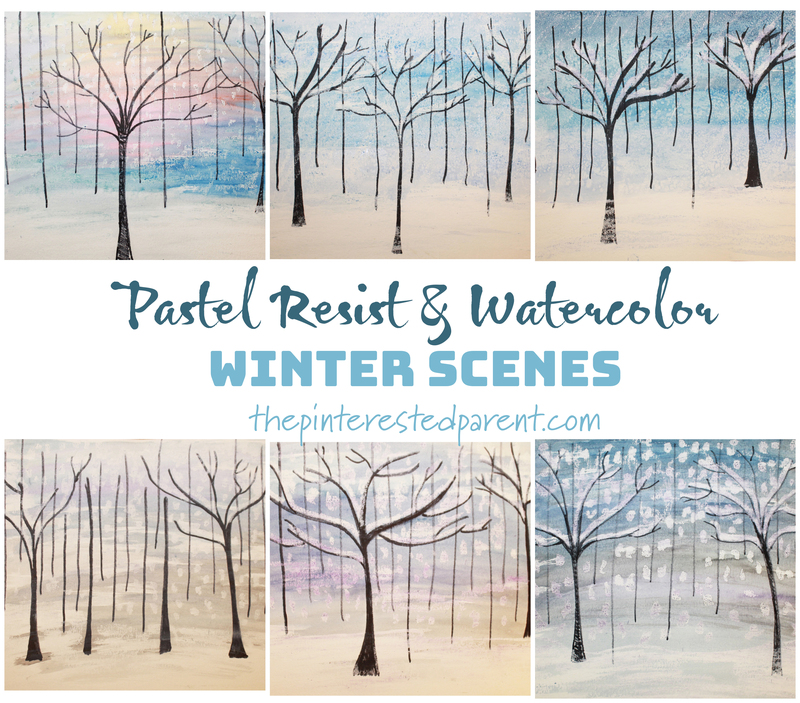 Watch your scene magically take form as the pastel resists the watercolors and you uncover a lovely winter scene. If you want to add an even snowier look sprinkle table salt over your wet watercolors and watch the reaction that it makes. Let the paint dry and brush the salt off into the trash. And there you have a quick and easy winter masterpiece. Aren’t these lovely? If you like these you might also like some of our other winter and Christmas inspired art projects.